Last Friday, the 10th, the first summer Between Night was celebrated which took place in an idyllic setting: a restaurant right on the beach. As usual, the event served to briefly review the company’s current state of affairs, review the milestones achieved during the first half of the year, and explain future projects. At the same time, it is a great opportunity for most Betweener teams to get together in a relaxed atmosphere. Between Night, attended by about 170 people, had a format somewhat different than usual. After all the Betweeners gathered together and were given a long time to discover the venue – which was a great success – Òscar Serret, the company’s CEO, presented the usual summary of achievements and announced important developments in terms of business units, such as the creation of the new division of IT Solutions. A few figures about the pace of business this year, as well as the review of and congratulations to different offices for their success, brought Serret’s statement to a close, which was much shorter than usual and gave way to the announcement of the first summer contest (#BetweenSummer). From that moment forward, music, laughter and a good atmosphere mixed together on the beach as Betweeners enjoyed a dinner with open bar. The fun lasted several hours and was interrupted only to hold the raffle for a weekend in Costa Brava between all attendees, which this time went to Javier García García. 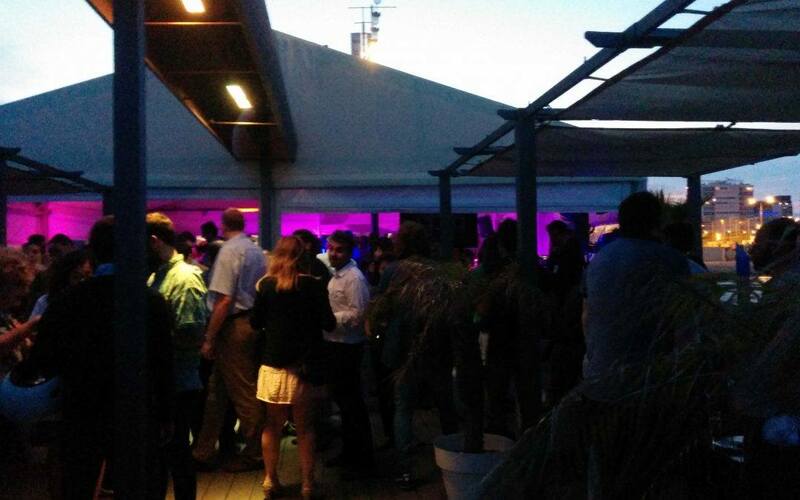 Although many of the Betweeners present there were already regular attendees of the Solid Engineering and Adiciona summer events – the two companies that merged to form Between – it should be noted that this was the first summer Between Night, since on July 1 the company will celebrate its first year of life.